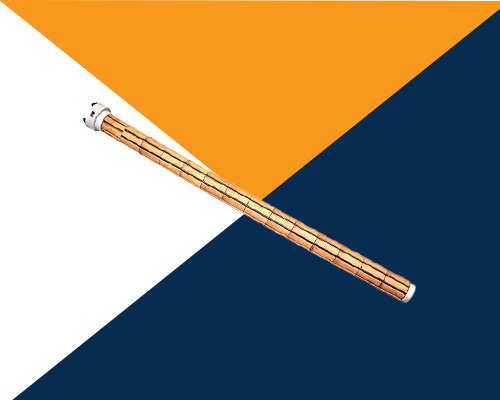 Sunrise Products, being the most successful Porcelain Heaters Manufacturers In India, have these types of heaters in a different range from 8mm to 80mm and length going up to 2000mm long. These may offer a large heated area to liquids or solids to be heated when inserted into a thermo well. One of the major reasons that stand it apart from other heaters is that one can repair or replace it without even draining the content of the vessel. Porcelain Water Heaters are used in water, oil and foodstuff and many other solutions. Our large range is manufactured at our in-house facility with the optimum quality raw components that deliver expected outcomes to the users, as they are expecting. These are used in various industries and able to work on different temperature to meet diverse application requirements. Their performance tests at our in-house facility under the supreme guidance. Being the preeminent Porcelain Gas Heater or Porcelain Space Heaters Suppliers and Exporters, we offer round-the-clock support to our customers, so, they won’t regret their decision of choosing us for buying the industrial heater for any of their requirements. Keep in touch, for any of your further queries. Chemical and paint industry etc.